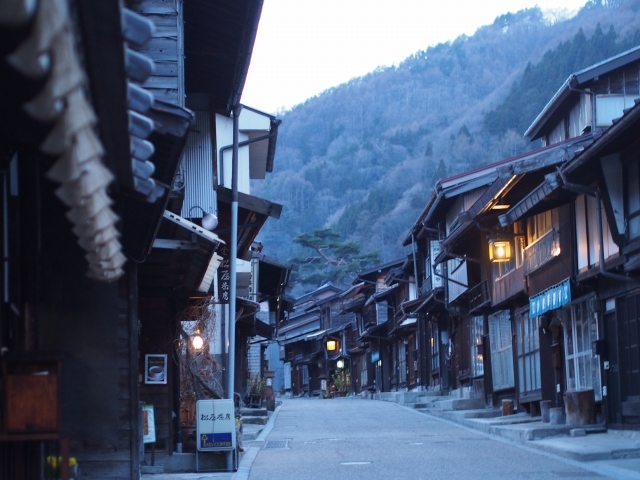 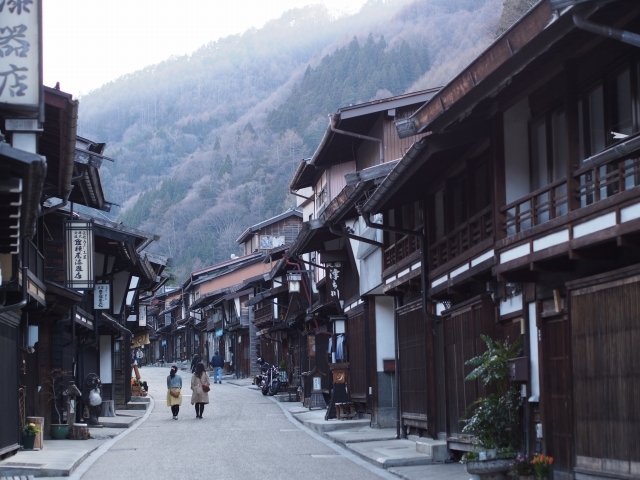 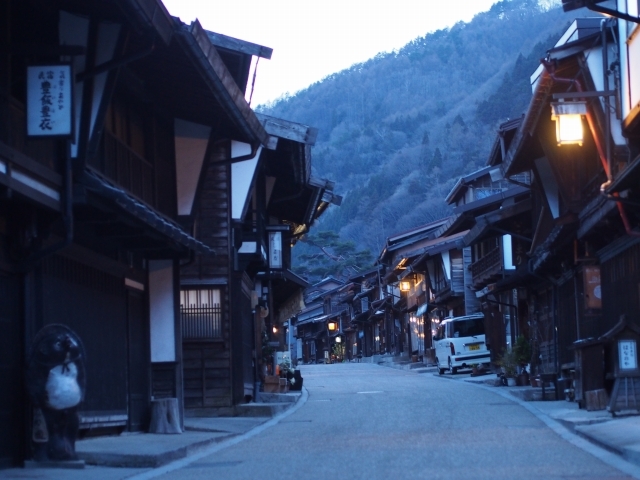 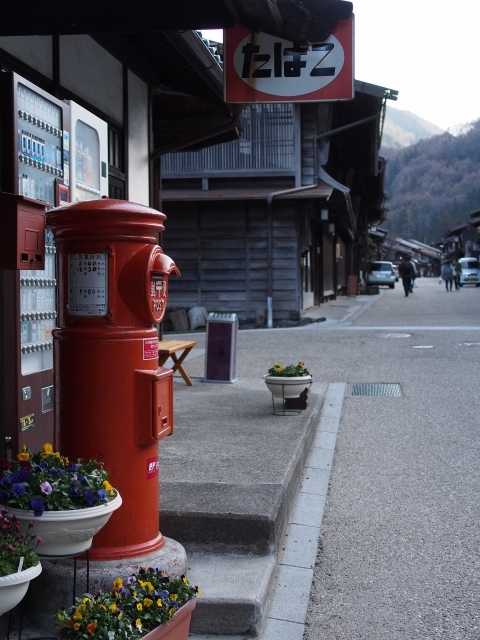 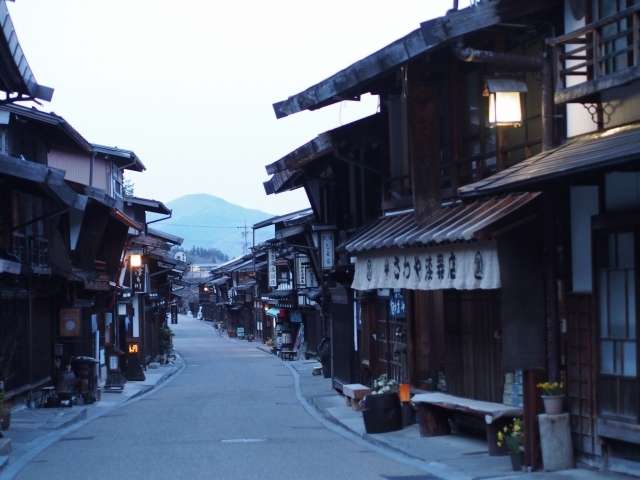 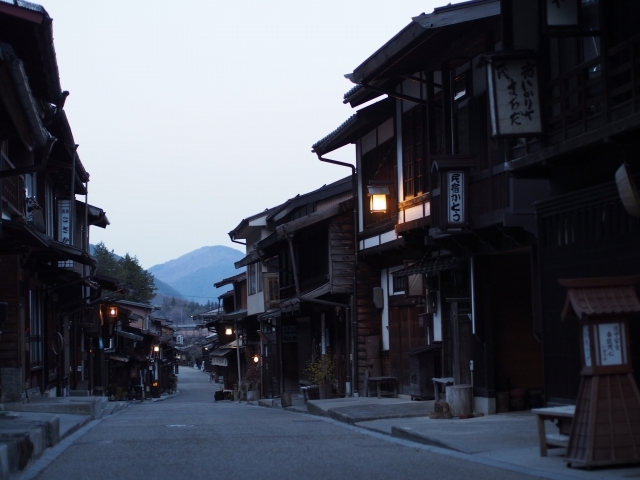 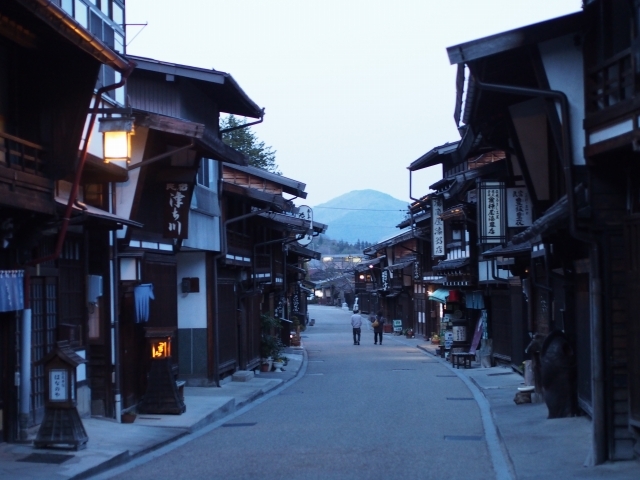 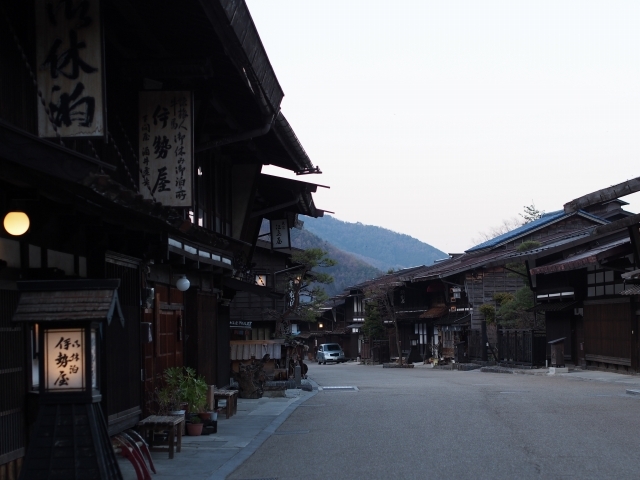 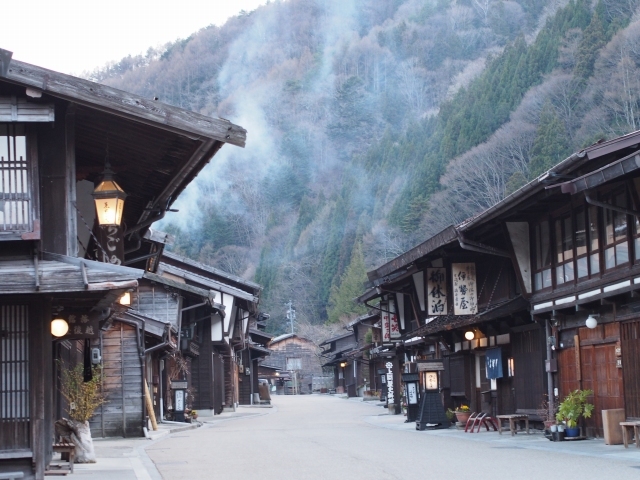 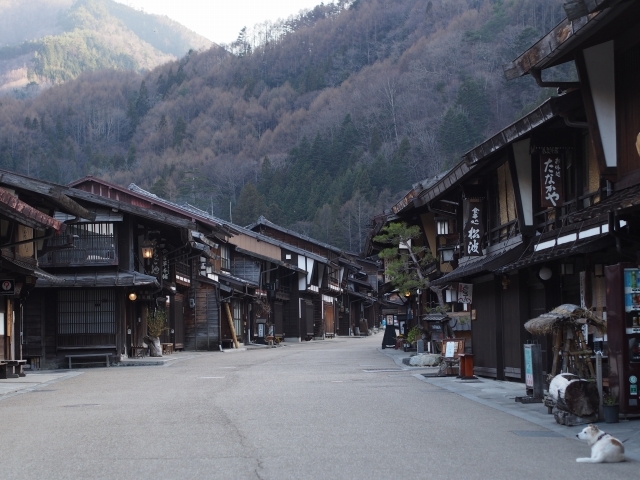 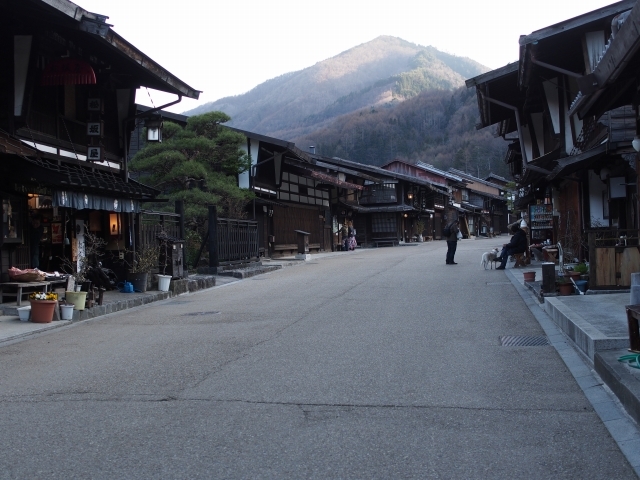 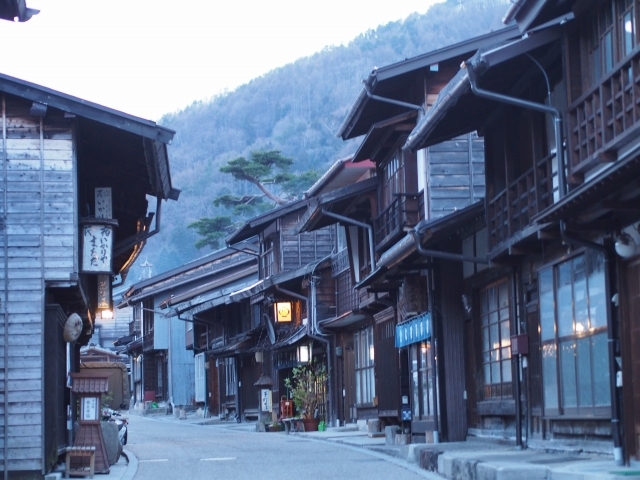 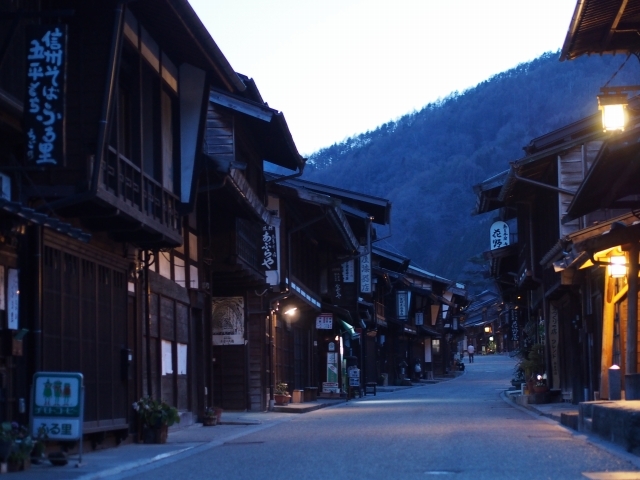 The evening scenery of Narai-juku,beautiful historic post town, on the Nakasendo Road. 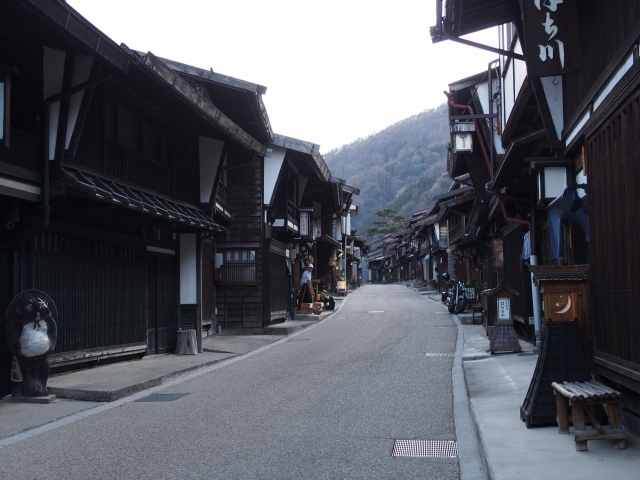 During the Edo era (1603-1868), the Nakasendo Road was one of the main routes linking Edo (Tokyo) and Kyoto. 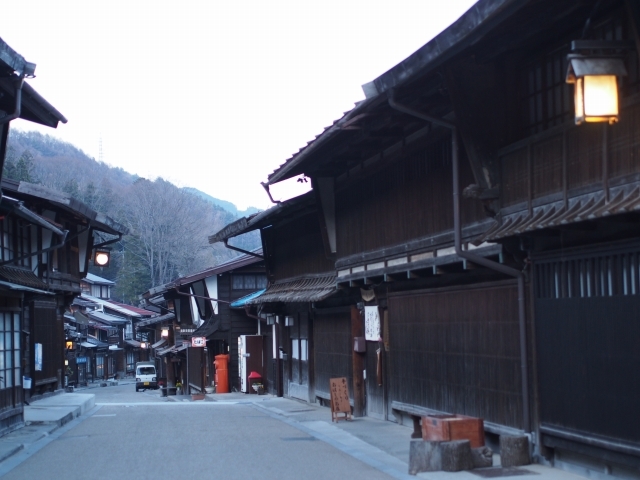 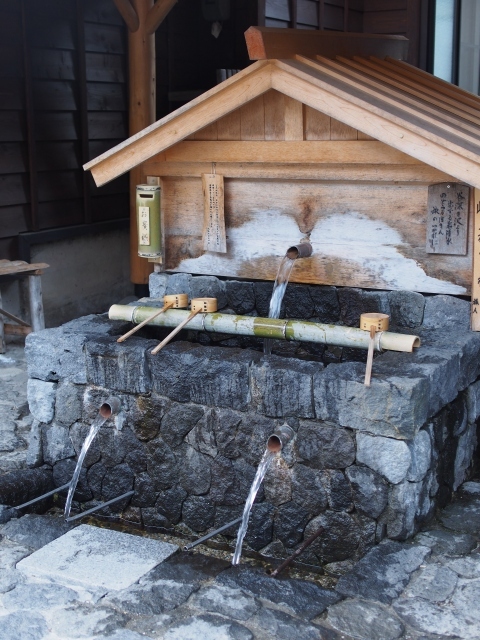 Narai-juku was the thirty-fourth of the sixty-nine stations of the Nakasendo Road, as well as the second of eleven stations along the Kisoji ( an old trade route in the Kiso Valley that stretched from Niekawa-juku in Nagano Prefecture to Magome-juku in Gifu Prefecture ). 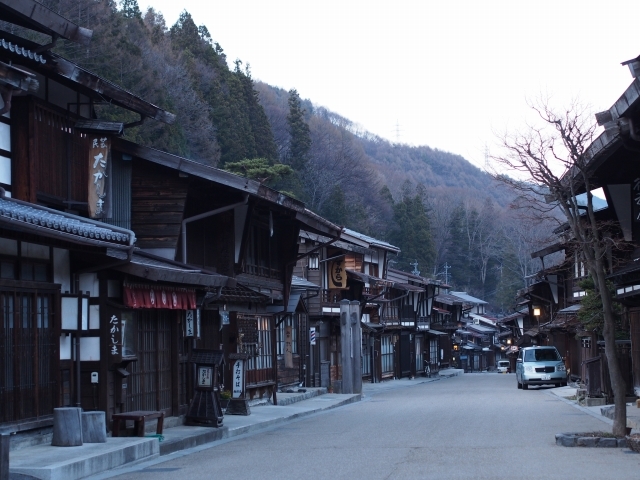 Narai-juku had the highest elevation of all the spots along the Kisoji. 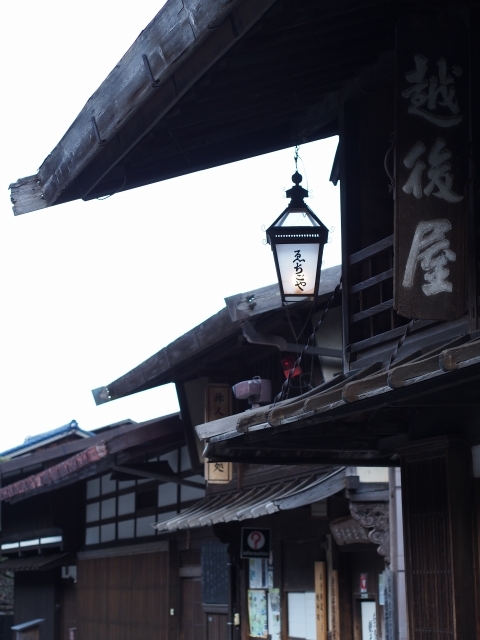 Because of all the visitors going through the Torii Pass? 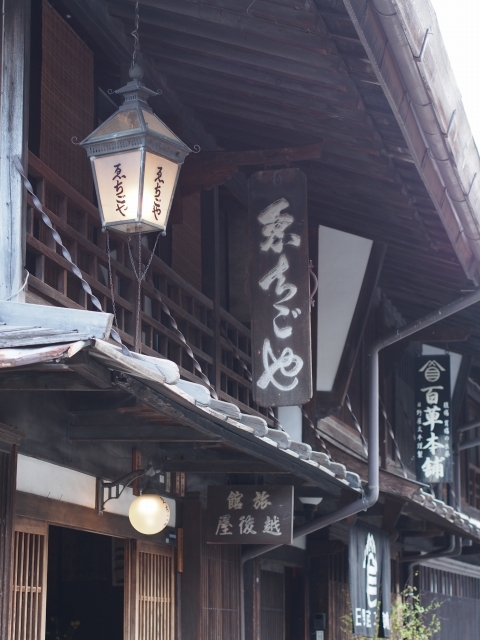 (Torii Toge), Narai flourished as a post town and was referred to as “Narai of 1,000 buildings” (Narai senken).The buildings still have been kept much like they originally were in the Edo period. 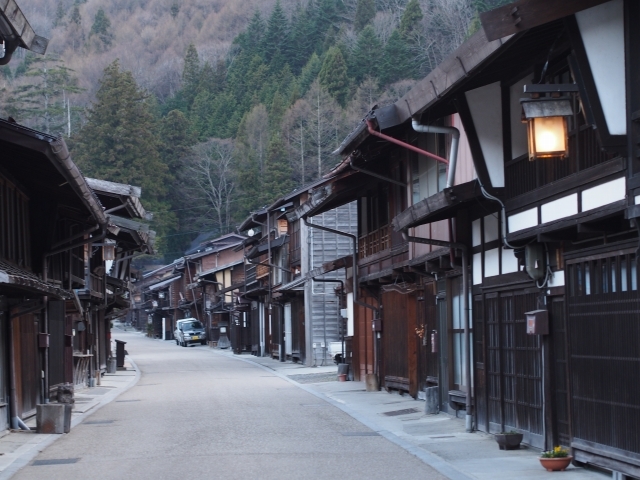 Tsumago-juku (designated in 1976) and Narai-juku (designated in 1978) in Nagano Prefecture that have been designated among the Preservation Districts for Groups of Historic Buildings are particularly well known as beautiful sightseeing spots. 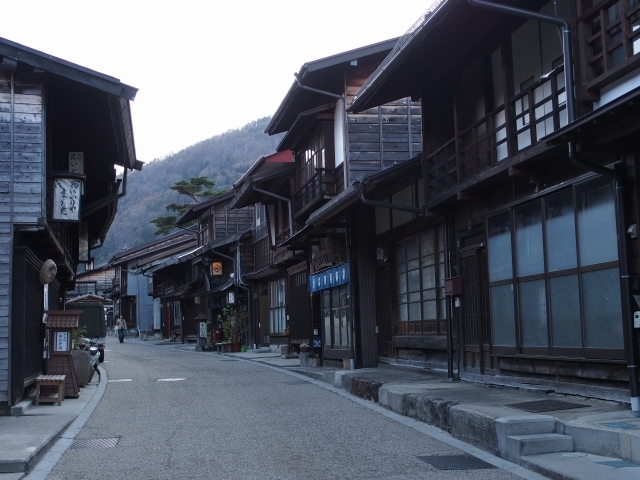 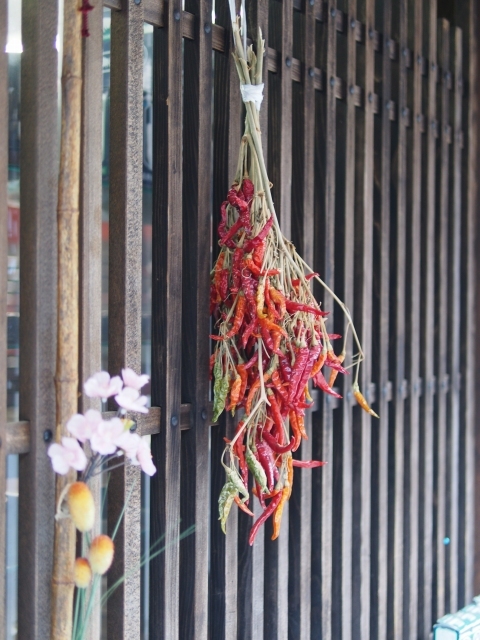 The preservation area in Narai-juku comprises an area of approximately 1km from north to south and 200m east to west along the boundary of the old Nakasendo Road. 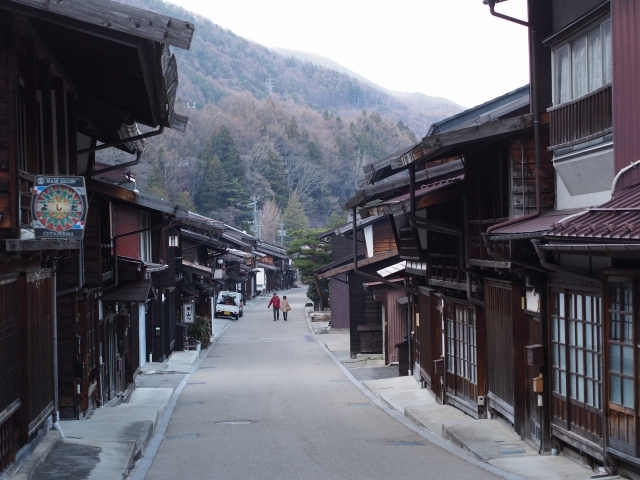 April 2013, Narai-juku, Shiojiri-City, Nagano-Prefecture, Japan.